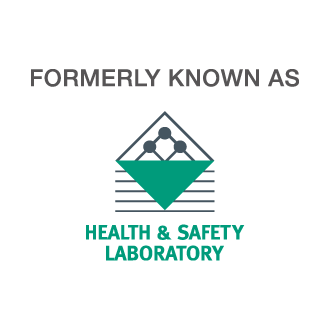 HSE's Chemicals Regulation Division (CRD) is pleased to announce its plant protection products and biocides conference and events programme for 2019/2020. This year we have expanded the programme to take account of stakeholder feedback obtained from the 2018/19 events programme. We are committed to communicating effectively with our stakeholders. One of the ways in which we are able to keep our stakeholders up to date is through the delivery of our conference and events programme. During 2019/20, we will be hosting a wide range of events which are aimed at providing training and updates on many aspects of pesticide, biocide, and chemical regulation. Building on previous one day training events, HSE's Chemicals Regulation Division (CRD) will be holding a two-day workshop, which will provide an introduction and overview of ecotoxicological higher tier risk assessment, along with in-depth discussion and exercises on refinement options. We will also cover risk mitigation and the UK approach to risk assessment for combined active-substance formulations. This workshop will help attendees to develop an understanding of the regulatory approach to efficacy assessment under the Biocidal Product Regulation (BPR). CRD is also considering hosting events on the following topics, subject to there being a sufficient level of interest. If you would be interested in attending an event on any of the topics listed below, please email our events team at events.CRD@hse.gov.uk to register your interest. Browse our complete training list which shows our complete offer of courses and conferences, including new additions. In addition to running our general training programme, CRD also offers bespoke training for individual organisations on both technical and procedural matters. The main benefit to the delivery of bespoke training is that the training is specifically tailored to meet your organisation's individual needs and enables you to address specific problem areas that are relevant to your organisation. This training can be delivered at our offices in York, or at a location of your choice. If you would be interested in discussing the possibility of CRD providing your organisation with a tailor-made training programme, or if you would simply like us to deliver an existing training programme at your office, please contact Jon Winfield by emailing jon.winfield@hse.gov.uk. In accordance with our financial remit, HSE has to recover costs for the work it delivers. Consequently, a charge would have to be made for the preparation and delivery of the training, and any associated travel and subsistence costs. Please note that CRD will not be able to provide advice on specific application work as part of the bespoke service. Such queries should be dealt with in the usual manner. This one-day workshop will provide an introduction and overview to most areas of ecotoxicological risk assessments. The event will be specifically designed for registration specialists involved in the preparation and submission of Plant Protection Products dossiers to CRD. The course will provide a practical introduction to the main Fate Exposure tools available for soil, surface water and groundwater. This will include practical introductions to the FOCUS groundwater and surface water models for example. UK specific regulatory requirements in this area will also be covered (e.g. to assess the drainflow and spray drift routes of surface water exposure). An update on future regulatory developments in the field will also be provided. The course is aimed at people with a basic working knowledge of fate who wish to develop their expertise in this area. This one day workshop will provide training via a series of presentations and practical sessions to support technical equivalence applications to CRD in accordance with Regulation EC 1107/2009. The workshop will address Chemistry (Tier 1) and Toxicology (Tier 2) in line with current guidance SANCO/10597/2003 rev. 10.1. Please note that the workshop will not include ecotoxicological assessments. This course will provide an overview of all aspects of writing efficacy dossiers including Biological Assessment Dossiers (BADs) and draft Registration Reports (dRRs) to address European efficacy data requirements under the regulation (EC 1107/2009). This event will provide an update on the workings of the current regulatory regime, outline recent changes and reflect on experiences to date. This course will provide training and updated guidance relating to the assessment of exposure to operators, residents / bystanders and workers in risk assessment for plant protection products. This event will cover the systems and criteria introduced by the Regulation on Classification, Labelling and Packaging of Substances and Mixtures (CLP Regulation; EC/1272/2008) and its significance for the suppliers of plant protection products. The potential for closer integration of activities managed respectively by the European Food Standards Agency (EFSA) and the European Chemicals Agency (ECHA) will be discussed. A one day workshop aimed at providing training on data requirements for the EU approval of active substances and their plant protection products regarding the identity, the physicochemical properties and methods of analysis under Regulation EC 1107/2009. The event will cover new legislation and data requirements, with particular emphasis on the revised guidance document produced by CRD for thegeneration of data on the physical, chemical and technical properties of plant protection products under Regulation EC 1107/2009. The event will be designed specifically for technical and regulatory staff involved in the production and submission of data to CRD. This two day workshop is aimed at providing training and the latest guidance on consumer risk assessment for pesticides. The guidance will focus on the appropriate use of residue values in conducting assessments and the use of risk assessment models. The workshop will include presentations and practical workshops covering consumer related issues of current and emerging interest. The suggested audience would be registration specialists involved in the preparation and submission of dossiers and applications to CRD.